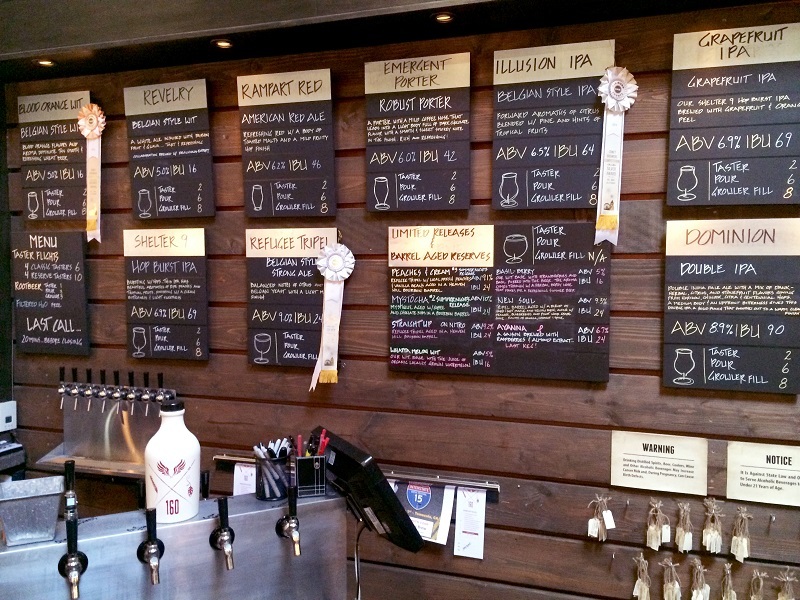 Maybe you’ve never thought of Temecula, California, as being a worthy beer destination. Heck, maybe you’ve never heard of Temecula. But you may know its first microbrewery, Blind Pig Brewing (1994-1997). Its famed brewer, Vinnie Cilurzo, now of Russian River Brewing in Santa Rosa, California, says, “Greg Koch from Stone was a customer. … Tomme Arthur (from Port Brewing/Lost Abbey) and Yuseff Cherney from Ballast Point (which recently announced plans to open a pub in Temecula) I’m pretty sure visited as well.” Other luminaries in the modern brewing world all came to fill their growlers here before San Diego became the beer mecca it is today. So while Russian River and its flagship Pliny the Elder double IPA are one of the largest draws for beer lovers making a pilgrimage to Northern California, without the defunct Blind Pig Brewery (closed when the Cilurzos moved to Sonoma County), SoCal’s beer culture was, in part, cultivated right here. That a spot like Temecula—once and arguably still a bedroom community for commuters to Los Angeles or San Diego—is exceedingly worthy of a beercation may come as a shock even to those in LA, San Diego and Orange County. Just a few decades ago, Temecula was a ranch town of 10,000 people. Nowadays, population 100,000-plus, orange groves have made way for vineyards. Most people who vacation here come for wine tasting and hot air ballooning, to say nothing of the golf courses such as Temecula Creek Inn and Pechanga Resort (for both of which Visit Temecula Valley provided accommodations and tee times for this reporter). Pechanga Resort is more popular for its Indian casino. Yet clearly locals love their beer, since Temecula is home to 10 breweries. I hit the new brew capital of the Inland Empire with my father. Since Temecula offers stellar links and a burgeoning brewery scene, we headed out for a weekend of golfing by day and beer tasting as our “19th hole” crawl. Our first day, we stayed and played at played the original course in the area, Temecula Creek Inn. 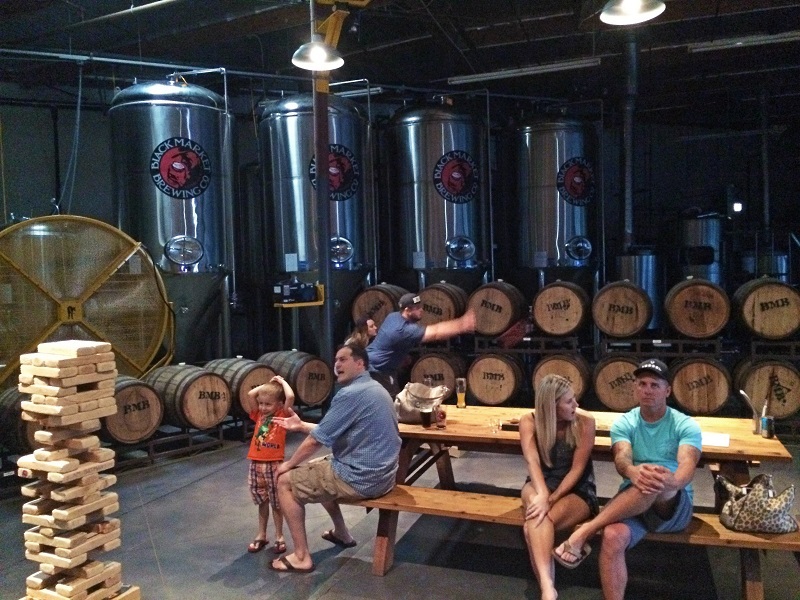 After the round we went to Wiens Brewing (27941 Diaz Road), headed by brewmaster Ben Wiens and family, which is part of what’s known as the Class of 2012, when four of Temecula’s breweries opened for business. Beers include the Millennium Falconers, an India pale lager hopped with, you guessed it, Millennium and Falconer’s Flight hops, and lighter fare like the Honey Wheat. Refuge Brewing (43040 Rancho Way) opened about a month after Wiens and just a block away. Curt Kucera and his son Jake are the brewers, but everyone in the Kucera clan serves a function. Speaking of functions, we arrived during one of the brewery tasting room’s many parties, this time being Jake’s birthday, and hundreds of locals turned out to enjoy live music, nosh from local food trucks and quaff their mostly Belgian-leaning offerings, such as the flagship: Blood Orange Wit. The simple story goes that on their neighbor’s gentleman’s farm stood a blood orange tree, so they added the fruit, whole, to a batch of their witbier. This being SoCal, Refuge has several citrus-fruit-infused beers, including an incredible grapefruit IPA. Nearby is Ironfire (42095 Zevo Drive), where Habanero 51/50 IPA stoked interest. Aptly named because it’s crazy hot (hence usage of the police code) but at least not as fiery as Ballast Point’s Habanero Sculpin IPA. And for those who wanna go 52/50, or whatever one more than crazy is, there’s a jar of “salsa” made with Scoville-chart-topping Carolina Reaper peppers that your server is happy dose your beer with a drop of. On a 90-degree golf day, Gunslinger Golden Ale—a 4.5% and 16 IBU cream ale—is the ideal quencher. If you’ve noticed that none of these places have been aptly described, it’s because they’re all dimly lit and located in industrial warehouses. Not much to look at from the outside, but plenty to drink inside. It appeared that the one with the largest tasting room is Black Market (41740 Enterprise Circle N.) with barrels aplenty that double as space partitions. Although there’s a larger room in the back with its own bar and life-size Jenga blocks, we happily sat at the front bar near the entrance. I found many good IPAs like Aftermath. It’s piney—five hops, so it also throws some grapefruit pith—but quite sessionable at 5.8%. The magical part was the discovery of three 3.8% Berliner weisses. There’s the base version called 1945 and a pair of fruited ones: Cherry Sour and Blackberry Sour as well as a traditional, house-made woodruff syrup that smacked of toasted green marshmallows. 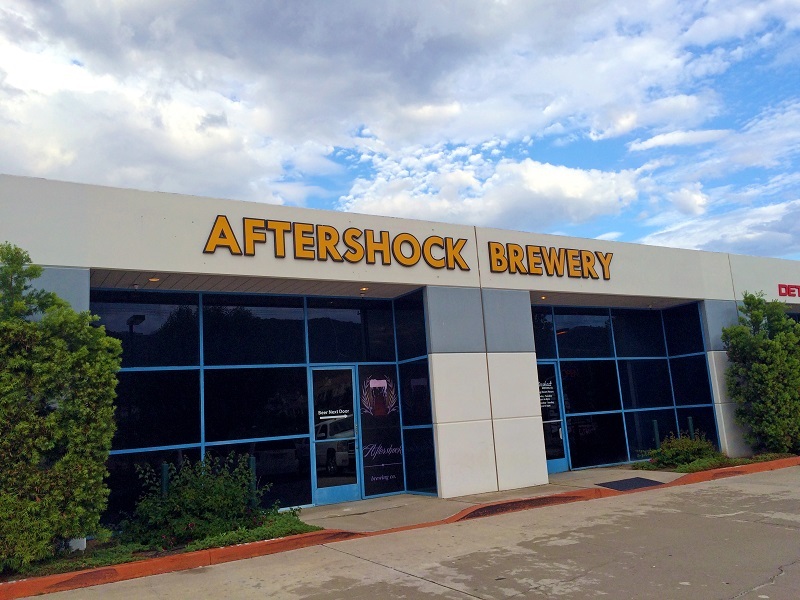 As for the brewery with perhaps the biggest generational gap, Aftershock (28822 Old Town Front St. #108) earns its name by being small yet mighty, and the 20 or so taps give it easily the most house beers in town. There are crowd pleasers like the 9.2% Faultline IIPA, bursting with resinous, mouth-coating hops and caramelly malts. For the more adventurous, the brewers split batches, so perhaps you’ll find an espresso stout as well as one called Affogato, meaning they added vanilla beans. Those beans, or real fruit, frequently turn one beer into multiple offerings, for those who want to see what strawberries or peanut butter do to a cherished style. Not only do they make a variation called Oatmeal Raisin Cookie Ale, it just won a medal at this year’s Great American Beer Festival (GABF). There are two homegrown brewpubs in town, and Garage Brewing Co. & Pizzeria (29095 Old Town Front St.) took home Temecula’s other GABF medal—a gold for Bucket Seat Blonde in the Munich-style Helles category. Bulldog (41379 Date St., Suite B) in Murietta (meaning a minute over Temecula’s city limits) excels at pub grub. We ordered the French Poodle—topped with brie, bacon and aioli—and the Man’s Best Friend flatbread (meaning pizza for one) with tri-tip, grilled red onions, jalapenos and Sriracha aioli. The fries are basically whipped and fanned out, so they appear almost like golden seashells, and are like nothing I’ve seen or tasted before. There are great nonbrewery food options, too, and our breakfast at Temecula Creek’s dining room, overlooking the first hole and water feature, where I got bourbon-soaked bacon pancakes (much needed), was a pleasant discovery. Pechanga (45000 Pechanga Parkway) is spiffier, meaning it’s more modern and Vegas-lite. The steakhouse, Great Oak, grills mouthwatering prime cuts and nicely muffles the noise from the tables and slots outside. As for said gambling, I don’t understand the rules governing Indian casinos like the roulette wheel featuring playing cards marked with red or black numbers but no ball. We preferred to spend our time on the greens—a very lush course dubbed The Journey. My dad tried to explain the profundity of the name. Though a nongolfer, I get it: tackling the course is a journey. 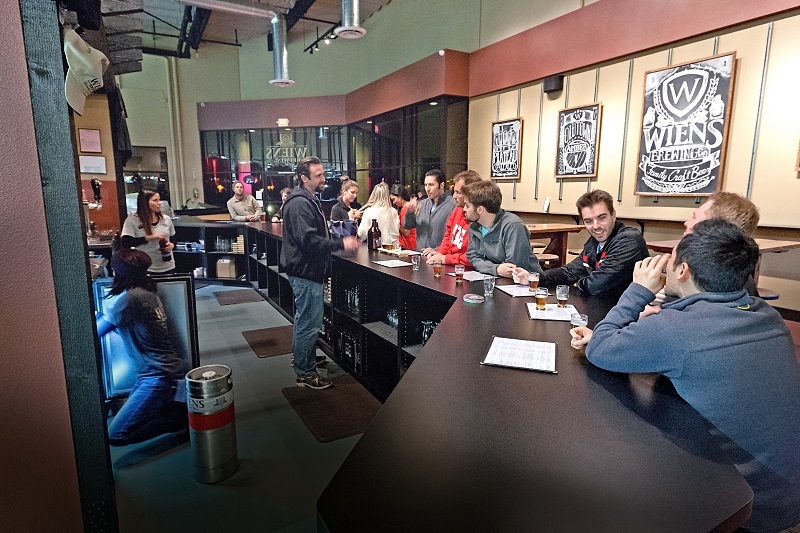 But Temecula’s brewery scene is its own odyssey.